Sky has taken the exclusive live rights to screen The Open golf tournament for five years from 2017, leaving the BBC with a daily two hour highlights programme. Reaction to a blog post written by Barbara Slater, director of BBC Sport, was generally hostile from sports fans who note the £204 million paid by the corporation for Premier League highlights last week, a bid that was unopposed by other broadcasters. In her blog, Barbara Slater said: "It goes without saying that the loss by the BBC of live TV rights to The Open Championship is very disappointing. We believe our bid was competitive because we wanted to retain live coverage, but ultimately we could not match what Pay-TV had to offer. You can’t win everything you go for - it’s the nature of the business we’re in." Regarding the BBC's rights to show highlights of The Open, she added: "we believe a daily, two-hour highlights package on BBC Two in peak-time will ensure The Open continues to reach a large TV audience. We know from experience that a well-timed highlights package can, in certain circumstances, be very popular – our coverage from the Ryder Cup in 2014 attracted nearly 6m viewers – over 2m more than the live action on Pay-TV." 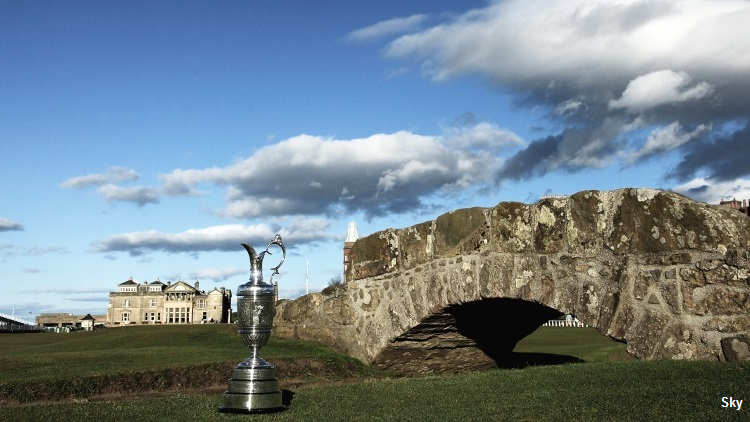 Sky meanwhile has promised that will "extend and enhance coverage of The Open, including live coverage of all four days' play in their entirety across TV, online, mobile and tablet devices, allowing customers to watch wherever they are. "Both new and existing golf fans will benefit from this partnership, which will enable The R&A to make a ground-breaking investment in grassroots golf, and work with Sky Sports to excite and engage viewers through the innovative coverage." This and next year's Open will still be shown on the BBC.